Strickland, whose name changed to De La Hunty when she got married, is an Australian Olympic track legend, and came from fine athletic stock, with her father Dave the winner of the Stawell Gift in 1900. 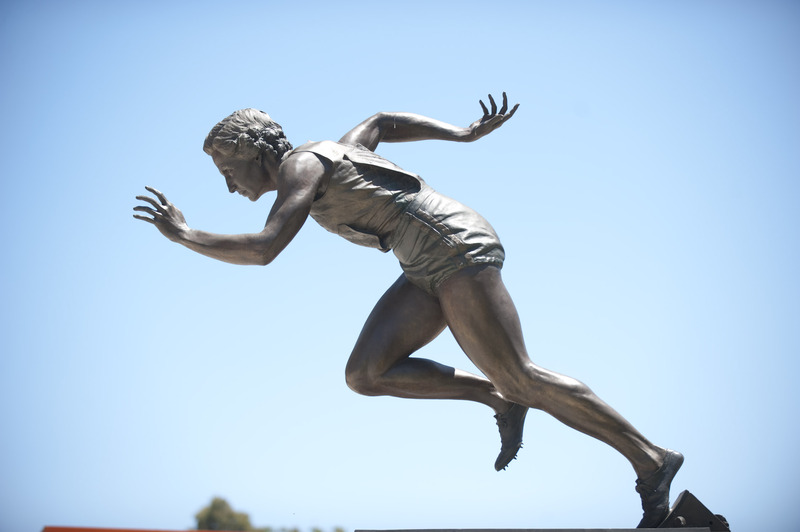 In her running career Strickland won seven Olympic medals, including three gold, at the London (1948), Helsinki (1952) and Melbourne (1956) Olympiads, which remains the highest number by a female athlete in Olympic history. After a decorated athletics career while she studied for a Science degree, Strickland first burst onto the national scene in 1948, when she set a then world record of 11.6 seconds in the 90-yard hurdles. Strickland won silver in the 4x100m relay team and bronze in the 80 and 100m hurdles in 1948, before adding the bronze in the 100m and a new world record in winning the 80m hurdles in 1952. Strickland completed her fine career on home soil in 1956, when she followed the disappointment of elimination from the heats of the 100m with gold in the 80m hurdles and 4x100m relay team.